It's not breaking news that newspapers are in serious trouble. 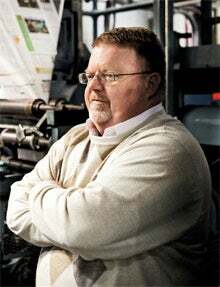 Their circulation across North America has fallen 17 percent over the last five years, and while some of the largest daily publications have offset declining print sales with digital gains, the majority of smaller, independently owned local outlets have struggled to make the transition from printed page to web page. That's where OwnLocal comes in. The Austin, Texas-based software developer and service provider delivers white-label solutions such as the print-to-digital advertising conversion tool AdForge, which enables small-town publishers to seamlessly translate their efforts to computer screens and mobile devices. AdForge automatically indexes every word of the ad copy to boost search engine optimization (SEO), introduces interactive content like maps and directions, integrates social media sharing and delivers comprehensive analytics data. It even adds old-school flavor: AdForge makes it easy for consumers to print out ads and coupons for real-world redemption. "The problem we're trying to solve is how to help [publishers] make money," says OwnLocal co-founder and CEO Lloyd Armbrust. "Local newspapers don't always know how to do stuff online, but they understand print ads, and they know their customers very well. So we created a product that puts their print ads online." Shon Barenklau, president of Suburban Newspapers--the Bellevue, Neb.-based publisher of the Ashland Gazette, the Wahoo Newspaper and the Waverly News--faces many of the challenges that OwnLocal promises to solve. The weekly papers blanket the region between the Omaha and Lincoln markets, documenting the people, places and events that TV, radio and larger metropolitan publications typically ignore. "We have a strong demographic that wants a printed newspaper every week, but as we evolve, people also want their news delivered as we produce it," Barenklau says. "Nobody does a better job of collecting hometown information than we do. But we have to be better at delivering that information electronically. We don't have a lot of resources we can dedicate to managing a website. Working with OwnLocal allowed us to affordably enter the digital arena and be competitive." So competitive, in fact, that last year Suburban Newspapers saw a 30 percent increase in online advertising revenue compared to the previous year. "As we move forward, I expect that number to grow," Barenklau says. Suburban Newspapers saw a 30% increase in online advertising revenue compared to 2010. Suburban Newspapers' weeklies are among more than 100 publications in 35 states leveraging OwnLocal's platform. Newspapers that roll out OwnLocal solutions generate an average of $60,000 in annualized online revenue within two weeks of launch. Suburban Newspapers' weeklies are among more than 100 publications in 35 states leveraging OwnLocal's platform to offer their advertisers an array of web-based turnkey services. In addition to AdForge, OwnLocal touts Local Hero, a customizable online directory designed to help area brands and small businesses build out their web presence and drive lead generation, complete with white-hat SEO, e-commerce tools and a host of content enhancements. OwnLocal also supports a daily deals service. "Our products run the gamut from lead gen to blog posts to social media," Armbrust says. "We can handle it all." Newspapers that roll out OwnLocal solutions generate an average of $60,000 in annualized online revenue within two weeks of launch, the firm says. OwnLocal claims a 50 percent cut of all web services sold. In mid-October 2011, the startup closed an unspecified funding round led by WordPress developer Automattic, bringing total investment in OwnLocal to nearly $2 million. "We're trying to get past the point of profitability and scale the right way," Armbrust says. "We're also starting to talk to the larger publishing groups." But it's small, hometown publishers like Suburban Newspapers that OwnLocal benefits most. "As the leading information source in our communities, it's our responsibility to offer different platforms and show local businesses how to capitalize on that," Barenklau says. "People connect through their hometown newspaper. They rely on it for information, and they talk about that information at the coffee shop or at the grocery store. Folks in bigger cities get information from so many directions--they don't understand the value that hometown connections provide."